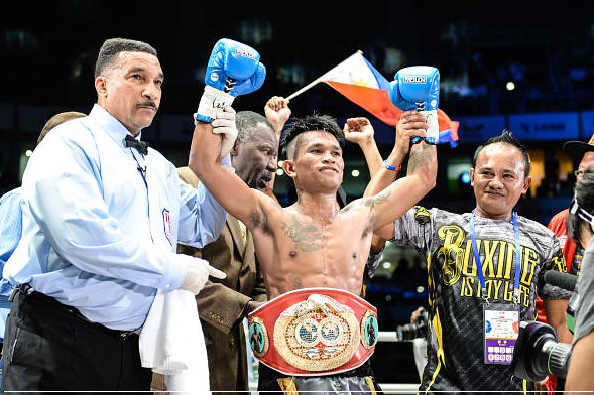 Former IBF world light flyweight and flyweight champion John Riel Casimero is moved up from the Flyweight division to the super flyweight division. Where he eyes 3rd division belt. Casimero is a two divisions world champion and he is now looking forward to making a name in the higher division where big names ruled the belt. Casimero said: "To win my third title would be a great honor for me and put my name in with some of the best fighters my country has ever produced," said Casimero. "I will be immediately looking to make an impact and fight the big fights that allow me the opportunity." Casimero's Sampson Lewkowicz is also excited for Casimero and wants big fights immediately. "He's so strong and he keeps growing," said Lewkowicz. "It is time for John Riel to move up and secure his place in Philippines boxing history. It is our hope to quickly face Ancajas and Chocolatito next year. That is what we will work to make happen."